J type t/c -328 to 2010, K type t/c - 328 to 2500, T type t/c -328 to 752. 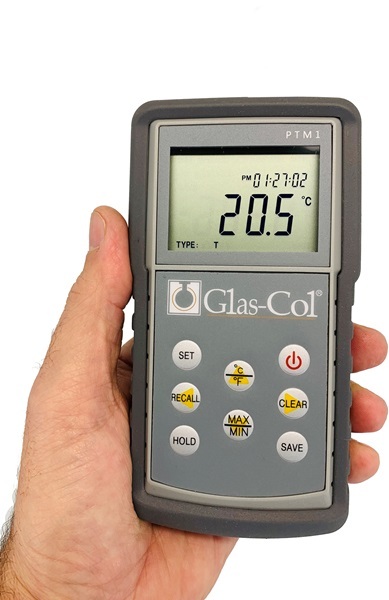 Battery operated handheld digital thermometers. 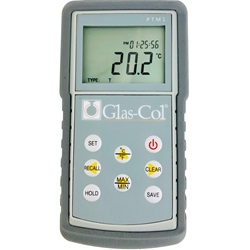 Featuring a built in microprocessor stores, calculates and compensates for K, J and T type thermocouple probes. The unit has a waterproof IP67 case. The touch mode keys are highly reliable with tactile and audio feedback. 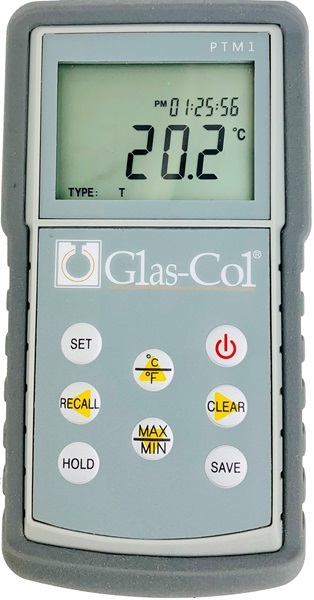 This meter uses four "AAA" batteries. The resetting of parameters are not required when power is restored.